A first man, a woman, and a second man are seated at a table. In front of them are various files and other objects on the table. The first man holds an open folder in his hands. First man: Next. This guy spray-painted “crooks” on his employer's building. Woman: Waste of resources to prosecute. Just make him clean up the paint. 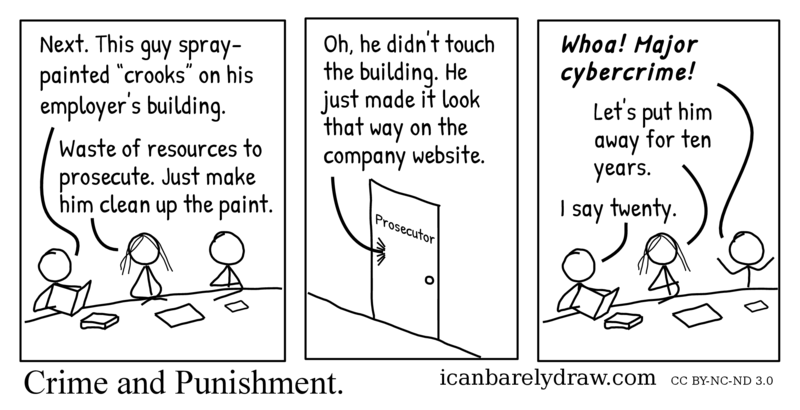 The second panel shows a door on which is imprinted the word: Prosecutor. Voice from within door: Oh, he didn't touch the building. He just made it look that way on the company website. The third and final panel shows the same three people as in the first panel. The second man's arms are now outstretched upwards. Second man: Whoa! 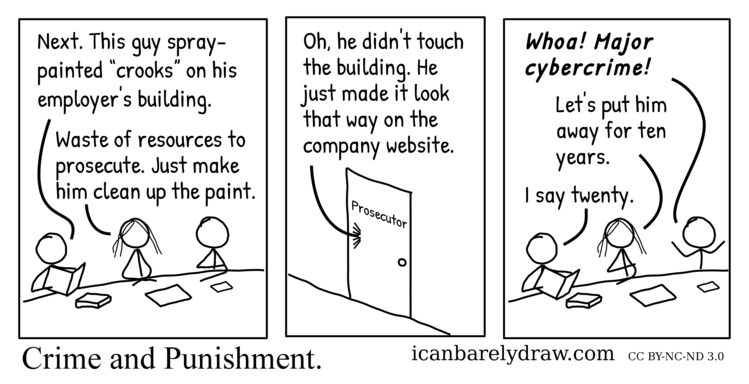 Major cybercrime! Woman: Let's put him away for ten years. First man: I say twenty.